I’m sure it delighted the composer. Just found out I'll be playing the Piano Trio (on cello) at a chamber music festival I'm attending this summer! I'm quite thrilled to have the opportunity to really get inside one of my very favorite chamber works, to say the least. The Piano trio is truly one of Ravel's magical creations. Wow, you have my admiration if you can play such a virtuoso piece, and one of my favorites as well. Good luck! Becoming a huge Ravel fan the last month. My entry was hearing the Daphne et Chloé from a live recording of Clemons Krauss. Absolutely out of this world music! 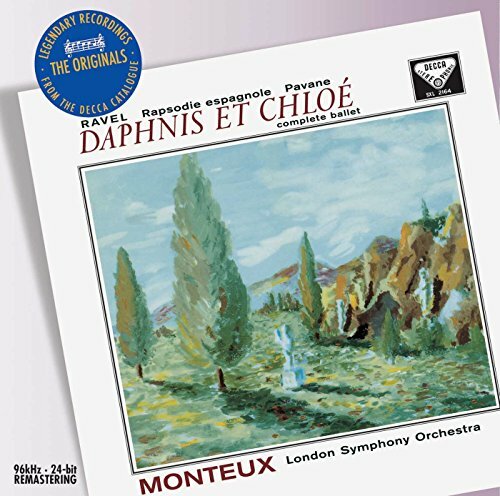 Daphnis et Chloé is a benchmark in the 20th century music IMHO. Have you ever tried the Dutoit/O.S.M.? For many it's arguably the greatest recording of it. 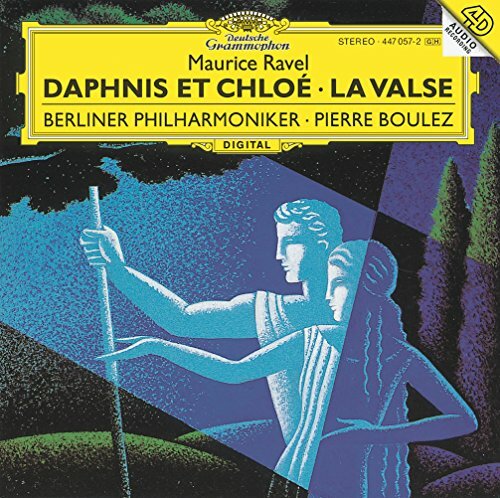 Ironically, I find Daphne to be my least favorite work by Ravel. 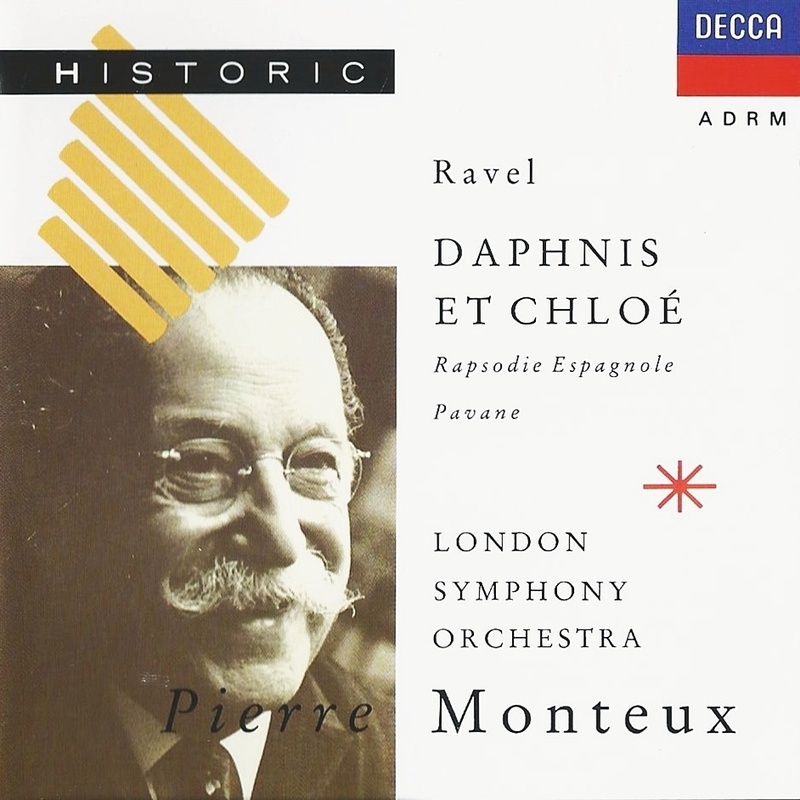 After I listen to it I typically have to listen to something else by Ravel to remind myself that I actually like Ravel. Lately it is the chamber music, particularly the Piano Trio and String Quartet, that resonates most with me. And, of course, the solo piano music. I also like the Bolero more than I can justify. You find something wrong with the earlier digital master of Monteux's recording. I recall the audio as being just fine. Yes, but not as good as the Originals issue. It made the difference for me. Count me as an unabashed Daphnis lover. Definitely! Not sure what the others are on about. I have the first CD issue pictured below. It's a "straight" transfer, no modern remastering. The sound is stunning: rich and full, with plenty of warmth. Have you heard this issue, Dave, and do you have opinions on potential differences? I ask mainly because I have long-standing misgivings about what the "majors" consider "an improvement" in sound quality with these blanket remasterings. Often the strings come out sounding shrill, brittle, and unnatural to me, and what tradeoff in "clarity" (yep, in quotes) there might be doesn't make up for the deficiencies elsewhere. (Obviously it comes down to whether or not a recording is well engineered to begin with, but that's a topic for another time). I shouldn't have said "all previous transfers". My comments apply to The Classic Sound issue. That's the one I have, the older "Historic" issue. Whether a newer master is an improvement or not varies from release to release, I find. I'm a big fan of Monteux, but the piece strikes me as too long. The second seems to contain all the stuff I like.